You've decided to watch The Dark Knight Rises in IMAX, but want to make sure it's real IMAX and not fake digital. Yesterday's post Why You Should Not Watch 'The Dark Knight Rises' in IMAX created a bit of a stir. One thing I've learned is that a lot of people are going to see The Dark Knight Rise in IMAX. I'm undecided. I thought I'd address something I wasn't aware of. 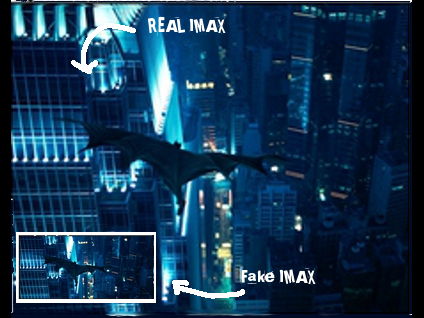 The difference between "real" and "fake" IMAX. I'm not gong to give a long technical dimension of IMAX. Slashfilm already did a great job. But I will try and give an explanation in 200 words or less. Everyone knows IMAX is about big screens. But, the format is not just about big screens. There's a whole experience involved including more powerful sound and a higher resolution. The images are brighter and clearer. It's kind of like watching high-def television. Right now there are two kinds of IMAX theaters. Ones that were built from the ground up to show IMAX films, like museums, and others that have been converted to IMAX or have been built to show the smaller IMAX digital format. When the format came in the 1970s there were two things against it: the cameras are huge and the screen is huge. Theaters are already griping about the cost of converting a theater to digital or 3-D. IMAX requires they convert the whole theater and make it six stories high. So, the company came up with digital IMAX. 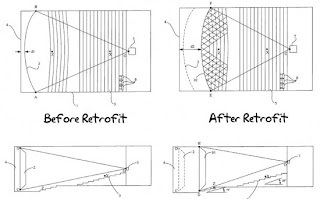 A film can converted after the film is made (post production) like when The Avengers was covered to IMAX. The company came up with a way of converting an existing theater to show a type of IMAX format. So, the majority of commercial IMAX theaters are digital. So, what's the problem? Much like post-production 3-D, there can be a big difference between true IMAX and digital IMAX. Most people don't care. The screen's bigger and the sound is louder and that's enough, but for some, it makes a big difference. One viewer described it to Roger Ebert this way. "As soon as I walked in the theatre, I was disgusted. This was not an IMAX screen. Simply extending a traditional multiplex screen to touch the sides and floor does not constitute an IMAX experience. An IMAX screen is gargantuan. It is like looking at the side of a large building, and it runs vertically in a pronounced way. 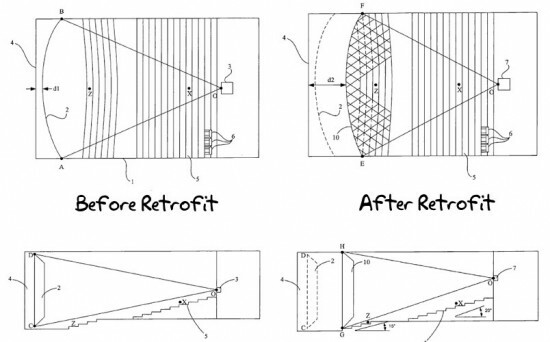 It is not a traditional movie screen shape....This screen was pathetic by IMAX standards." Most of the time, it's not clearly marked which is which. There are two options. One, call your local IMAX theater and ask if it's digital IMAX or 70mm. Two, head to your favorite movie ticket site (ex. Fandango ) and look for your local IMAX theater. Then, compare it against the list of theaters showing IMAX below. Here's a list of theaters that are showing "true" IMAX on a six-story screen. Some states have none, while others (like California) have a bunch. For now, this is a list for the United States, but I hope to have an International list soon. This list is based on the IMAX official website and LFexaminer. Please note, this is not a list of IMAX theaters, but a list of IMAX theaters showing The Dark Knight Rises in "real" format. There are some benefits to digital IMAX since it allows it to be shown in more theaters, but if real IMAX is what you want. Then, it might be worth the effort to look for it. What do you think? Is there a difference between IMAX and IMAX digital? Do you care? Are you going to look for an IMAX theater showing true IMAX? Oh yeah there's a HUGE difference--quite literally. I mean six stories of REAL IMAX vs. maybe two stories for the digital? Though just like 3D it's always better if the film was made with that format in mind, which it sounds like the case is for TDKR. i am happy seeing the film in the old fashioned way... give me good sound and a large popcorn and no extra frills... i want that to come with the blu-ray and extras. PT, TDKR was definitely filmed in IMAX format. Nolan talked about how noisy and heavy the cameras are. That's why he only filmed "some" of the movie using the cameras. Jeremy, not everyone wants IMAX or 3-D. Some wouldn't have it any other way. I, on the other hand, can't own a DVD or blu-ray without extras. What's the point? It was irritating to find out that Vegas only has one real IMAX theatre. Colin, Arizona only has one too. I was surprised how many cities don't have ANY real IMAX theaters.